Those kind of data are stored as XML documents in the database, and CMS services replicate those data to the required servers. In previous versions as in OCS and OCS 2007 R2, those kind of data were stored in the Active directory, Windows Management Instrumentation (WMI) and also SQL database, if you had worked with OCS you will remember that you needed to extend the Active Directory Schema to add a new features or functions and wait for replication across your AD infrastructure to complete, with Lync CMS it became way much easier as all data are stored in one location. 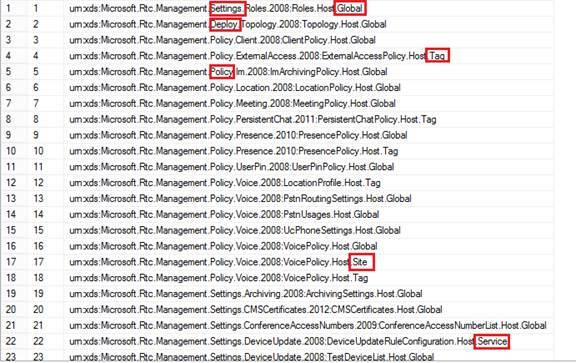 NOTE: Lync still save some user object information in Active directory to maintain “Backward Compatibility” with OCS. For each of those scope, there will be only one xml document, so if you have in your Lync deployment a site Dial plan in addition to the Global dial plan, there will be two XML document in your CMS, one for the Global dial plan and one for the site dial plan. So to modify data in CMS, you must use one of those Lync Management tools. 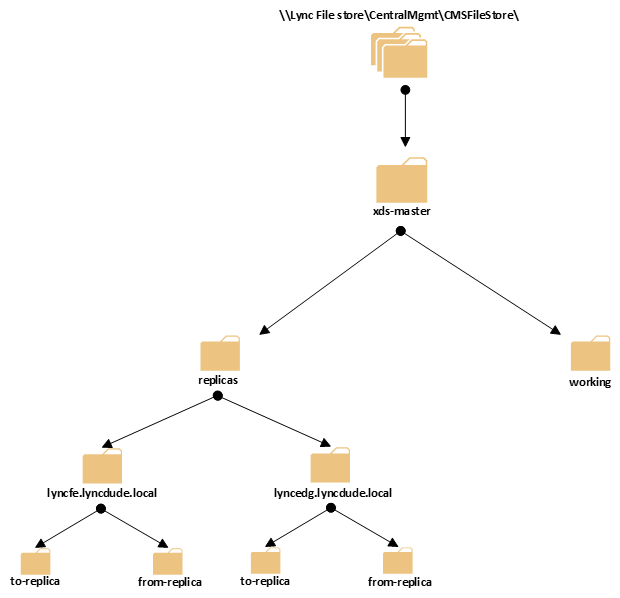 NOTE: this .dll file has too many validation rules to check if what you trying to do is supported by Lync core design, then when it find that it is valid, it writes the new data to the CMS. 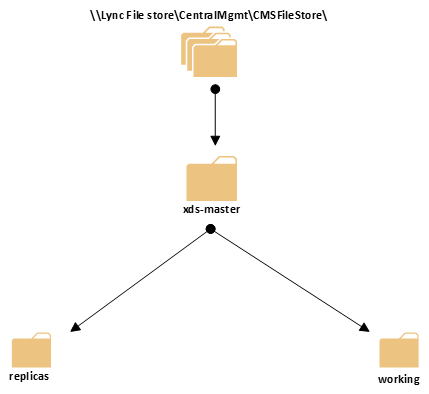 Before explaining how does the CMS replication works, I will explain the structure of the CMS directory, but first you need to know that CMS operate in a Single master / multiple replica (another word: Copies) system, we will talk more about that later in this article, but this mean that any Lync deployment has ONE and Only ONE master CMS stored in the Lync file store defined in the Lync Topology. Inside the file store you can find the “Central Mgmt” folder that is used by the Master CMS to replicate data. 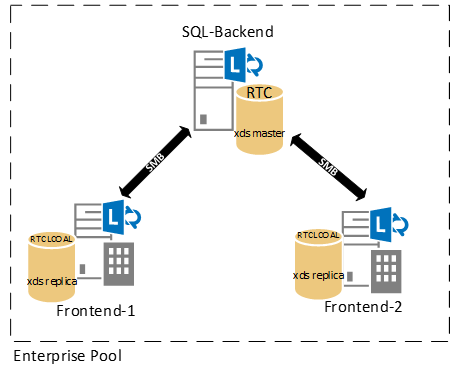 Like I mentioned before, the CMS operate in Single Master / Multiple replicas (copies) system, so one master located on the SQL backend server (called RTC), and each Lync server in the topology have a copy (replica) of this master (called RTCLOCAL). 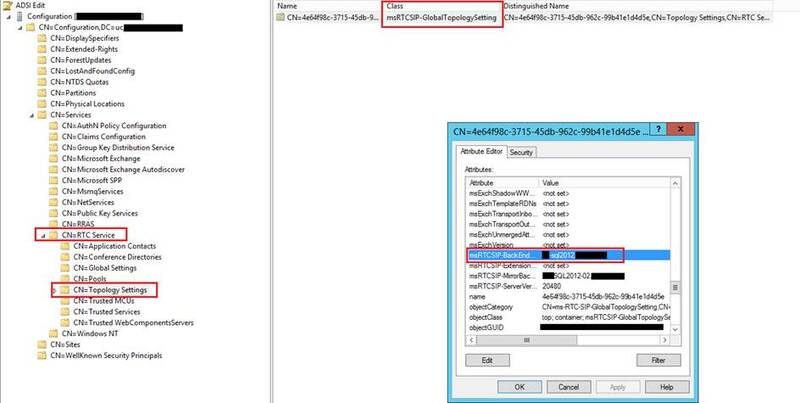 This location is called “Service Connection Point” SCP which is created by the topology builder in the first time you published the topology and can be edited using the move-CsManagementServer cmdlet, or checked by using the Get-CsManagementConnection. All those services are running on the CMS Master except for the “Replica Replicator agent which is not, the Replica Replicator agent services runs on other Lync servers in the topology. Each 60 seconds a task run to check if there is any changes made to the CMS master that need to be replicated. After the changes are applied, a status.zip file is created and placed in the “to-master” folder in the server. 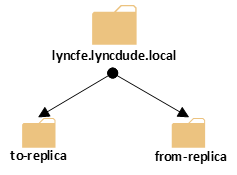 For Edge: Lync edge server uses the replication web services over HTTPS / 4443 port to copy the Data.zip file, the replication web services uses the internal Certificate issued by the internal CA and trusted by the Lync in the replication process. 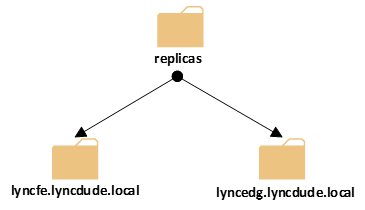 This is a really nice article which explains every details required to be known for this particular important module with Lync server. We really appreciate the way it is written so that even the startups with Lync could understand with the easiest possible language used. 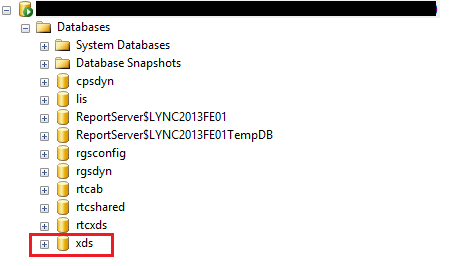 Just wanted to request you if you could write a similar article about Lync server 2013 address book. Thanks for sharing and we really appreciate the efforts and time that you have put in elaborating and making topics like these very easy to understand. However I have question about the master. Isn’t The Active Master role held by one of the Lyne FE server in pool? 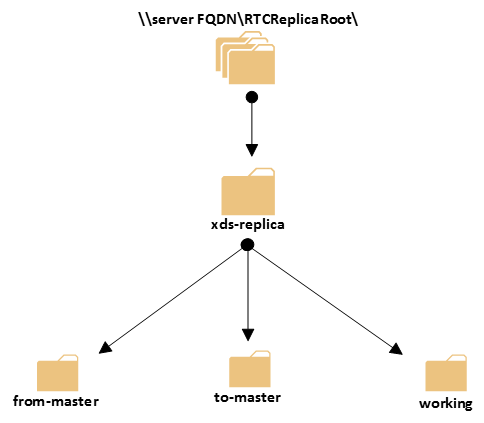 When we run get-csManagementstorereplicationstatus -CentralManagementStorestatus, It lists the current ActiveMasterfFqdn and FileTransferAgentFqdn. 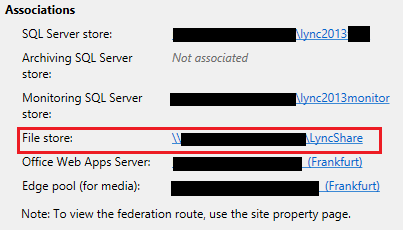 From what I see there wont be any Lync services running on the Backend SQL server in Enterprise setup. The Back End Servers that provide the database services for the Front End pool. The Back End Servers serve as backup stores for the pool’s user and conference data, and are the primary stores for other databases such as the Response Group database. 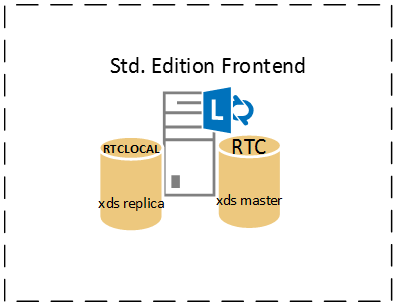 one Front End Server in the deployment runs the Central Management Server, which manages and deploys basic configuration data to all servers running Lync. The Central Management Server also provides Lync Server Management Shell and file transfer capabilities. A rare to find article on CMS replication – explained in a much better way than the Technet articles. Well done!